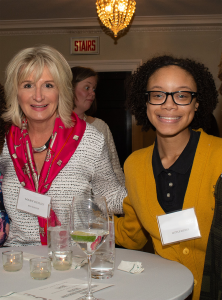 To ring in International Women’s Day, we celebrated our 5th Annual Live BIG event, bringing together female matches and Chicagoland professionals at the Woman’s Athletic Club – the first athletic club for women in America. The event provided an opportunity for high school girls and their Big Sisters to network with women from diverse backgrounds and industries. A highlight of the evening was hearing from Stephanie Hart, owner of Brown Sugar Bakery on the South Side. Hart spoke about her entrepreneurial journey from 20 years in the tech industry to running a bakery on 75th Street. Now expanding her bakeries across Chicago, Hart has just been announced as a 2019 James Beard Foundation semi-finalist in the Outstanding Baker category! Many thanks to Board Member Debra Beinstein and Leslie Smith for hosting and helping bring this event to life. Two of the matches in attendance will be graduating from the program this year, and were grateful to have the experience as an introduction to many more networking events to come. 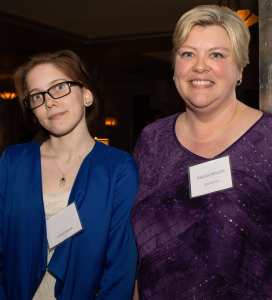 Ashley had the help of her Big Sister to find out what sparked her interest, kept her focused and built her confidence. To further her goal of pursuing a career in youth development, Ashley has been volunteering with her Big Sister Reagan at the children’s museum near her home. In the five years they’ve been matched, Reagan her been instrumental in supporting Ashley’s own social and emotional development to help her feel prepared for school and future success. Big Sister Mary has been a fierce advocate for DeJanae’s future aspirations, helping with the college application and interview process. DeJanae is already well on her way, planning to attend North Central College this fall studying Psychology in their College Scholars Honors Program. In their three years together, Mary and DeJanae have celebrated many “firsts” together, but being the first to go to college tops the list!